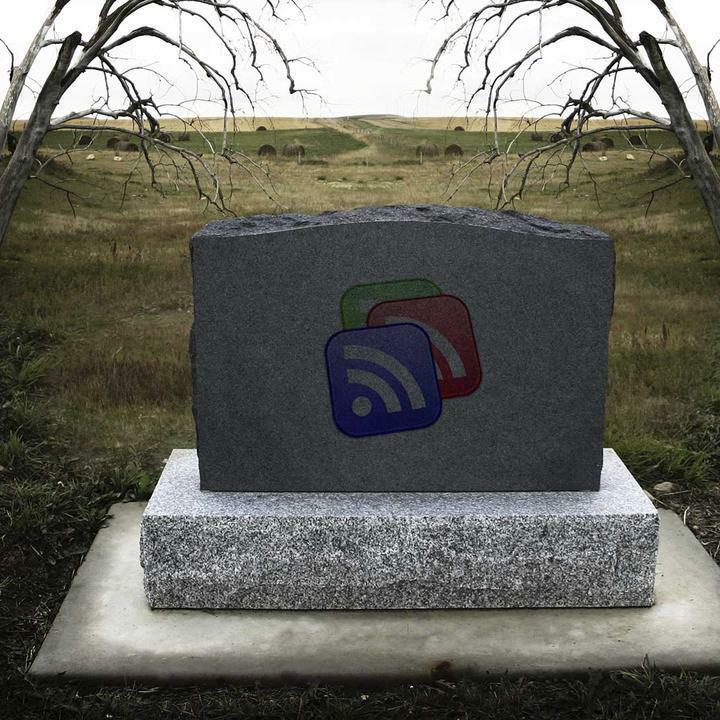 The nail in the coffin for Google Reader will come July 1, which means users have a little over three months to find a replacement. While that should be plenty of time, there’s no need to wait until the last minute. In fact, it might be a good idea to vet a few alternatives and get acquainted with them ahead of time, before that deadline yanks the RSSes out from under you. First thing’s first: You’ll want to export those feeds, so you can import them easily into another product. If you bypass this, you’ll have to start from scratch and corral each feed one by one. Luckily, the process is dead simple. Start by hitting up this link, log in (if you haven’t already) and then — after the archive finishes prepping — click on “Create Archive.” From here, you can download the XML and JSON files to your local storage. What you do next will vary, depending on your choice of new RSS reader and its import procedure. You have quite some options out there now, for a range of user types. Are you a news addict with a mountain of feeds? Do you tend to check them at home on your computer? On the go with your tablet? On your phone while taking the bus to work? Well, take heart — there’s something out there for everyone. Here are a few free alternatives that are worthy of your consideration, courtesy of CNET. A little more than half of these support both mobile and desktop use, but a couple of mobile-only solutions were just too good to exclude. 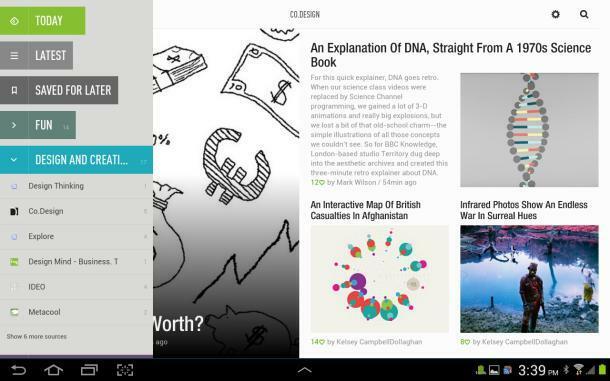 Some of you probably already use Feedly, since it offers Google Reader sync. But is it worth hanging on to now that this feature’s going bye-bye? You be the judge: It has a good-looking, well-designed interface, and as far as performance is concerned it functions well. Feedly also boasts some perks, like “Save for Later” and History features, social sharing and tweeting, and convenience — it’s available via Firefox and Chrome plug-ins as well as mobile apps. If you like cards, you’ll love Taptu. 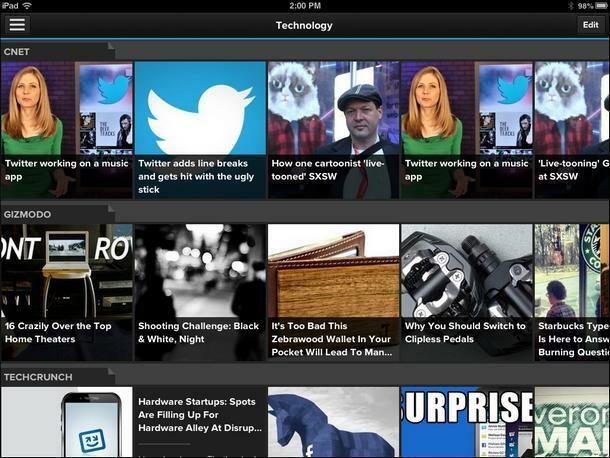 Not only can you add your own Twitter and Facebook feeds, but it also makes RSS discovery and customizing easy and fun. The service uses a DJ metaphor to describe itself, since users can create their playlists of content. It offers its own collection to start with, but you can add your own streams as you see fit or search specific items using keywords. Performance wasn’t the best of the lot, but at least it offers the ability to switch to a non-laggy Web version. Pulse News was designed for touchscreens, with a swipe-tastic interface that makes it easy to move from one feed or story to another. 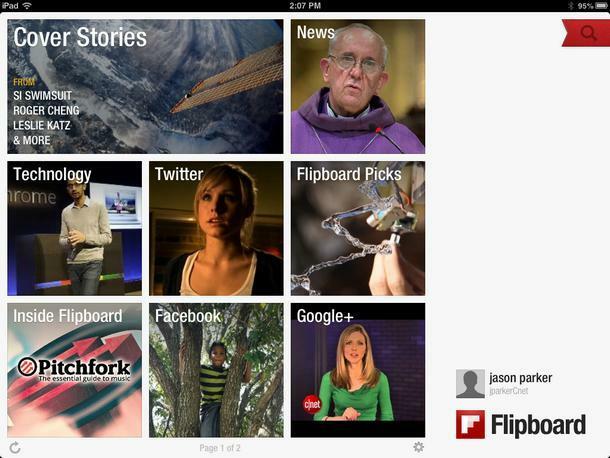 Swipe up and down to scan various sites, or across to see all the stories from one source. It also offers search by category or keyword, and a customizable homescreen that lets you set the order, whether for particular news sites or social media feeds. Flipboard is one of my favorites for transforming RSS and social feed reading into a more magazine-like experience — complete with featured images, call-out quotes and page-flipping gestures. Unfortunately, it’s mobile only. But if you have an iOS or Android device — especially a tablet — it’s pretty sublime. It requires registering for a Flipboard account, and then logging into your Twitter, Facebook and/or Google+ accounts, to enable all the social features. Stick with the default categories, or customize with your own list of RSS feeds. 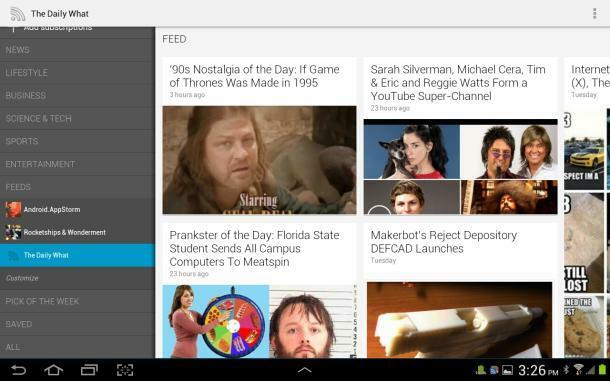 Google Reader’s dead, long live Google Currents? Maybe. Currents hasn’t really taken off since its debut in December 2011, and it’s not because of its “magaziney” take on RSS feeds — indeed, Flipboard (above) bears this concept out quite well. But users bemoan the lack of features and intuitive design, and the seeming neglect from the company didn’t help. So why is it on this list? Well, now that Reader’s demise has been announced, there will probably be renewed interest in Currents. And it does have a few selling points: Users can sign up for (or download) app-optimized versions of pubs like Forbes and CNET, as well as RSS feeds, and it offers a Breaking News feature that prioritizes the latest stories in each category. Plus, it will soon be the closest thing you can get to Google Reader, and it keeps all that RSS data in the same eco-system. Do you use one of these or another RSS feed reader? Tell us about your favorites in the comments.